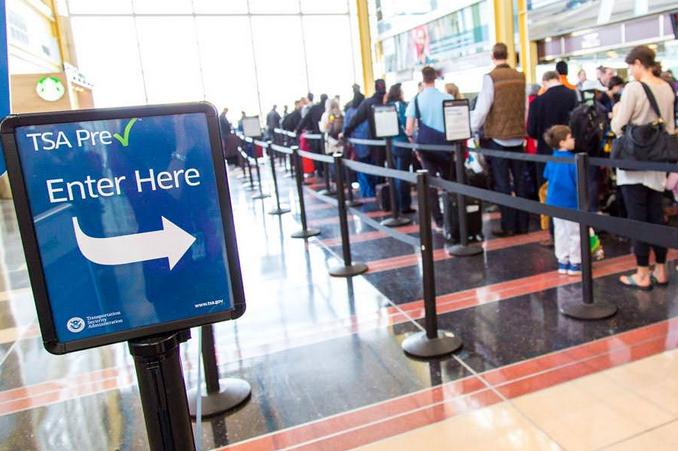 The TSA is apparently evaluating to completely scrap passenger screening at smaller regional airports that only handle commuter flights in an effort to save up to $115 Million per year. According to an agency statement mandatory passenger screening isn’t the core mission of the TSA and multiple factors go into the assessment if locations receive continuous checks or not. This statement is surprisingly a wholesale departure from the stand which the agency has taken ever since 9/11 and brings up questions about the validity of the risk assessment which went into the consideration which assumes that smaller passenger jets do not present attractive targets for terrorists. On top of the safety issue which is obviously at the core of this entire discussion there are also practical considerations especially for connecting passengers. As this measure would only affect passengers originating from small airports and commuter / regional planes it would require passengers to undergo screening at a connection airport. This would be a logistical nightmare considering that U.S. airports are currently equipped in a way that let’s all domestic passengers out into the general concourse after arrival. There are simply no facilities available to seal off regional passengers. The entire story originates from CNN (access here) that has an exclusive story yesterday after reporters became aware of details surrounding this controversial plan. It’s interesting that this is actually under serious consideration and not just this year but apparently has first been discussed back in 2011. The entire matter is on point though because if there is in fact no law that requires TSA to conduct these screenings then they operate in a grey area. Especially inconvenient is that it that the U.S. pressured countries worldwide in implementing security screening standard in order to be allowed operating flights to the United States. Being able to fly without security screening was actually normality up to a few decades ago. Obviously times have changed and so has the security situation around the world. While most people find security screenings intrusive and often unprofessional it’s hard to say if passengers would be actually ok flying without any screening at all. Logistical issues aside which would amount to a nightmare given the ailing infrastructure of U.S. airports, remodeling these airports to actually facilitate the new policy would cost a fortune far in excess of the savings proposed. On top of that is the false assumption that terrorists only value large targets as worthwhile and don’t deem 60 people on a small jet plus whatever they hit on the ground as large enough. Terrorists blow up small targets all the time, they drive trucks into public gatherings and shoot up newspaper offices. Less than 50 people got killed in the 2015 Paris terror attacks so to come to the conclusion only large aircraft post threats is insane. I highly doubt this proposal would ever come to fruition and lawmakers will be called upon in the near future to give TSA a legal mandate for a permanent mission.